Dan Pulskamp is the founder of Virginia Adventures. 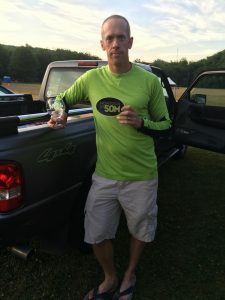 After spending years making long drives to go run Ultras he realized that the Central Virginia area was an untapped resource for holding Ultras. He serves as Race director and handles most of the logistics for all races. He is a veteran of over 25 Ultras. He is also a military veteran. Luz Pulskamp serves as aid station chief for all races. She handles the cooking and setup of all aid stations. She also serves as chief cheerleader and enabler of her husband’s ultra running obsession.